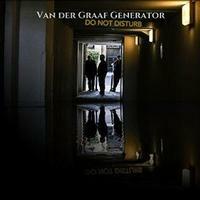 This new disc from Van Der Graaf Generator is sure to please long time fans of the band. Personally, I don't think I'm the target audience for this. I don't really care for the vocals and a lot of the music is too freeform for my tastes. That said, there are some intriguing parts here and there. As I said, it's not a big departure from what fans of the group expect, so it's sure to be a pleaser for them. 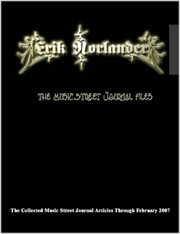 This review is available in book format (hardcover and paperback) in Music Street Journal: 2016 Volume 6 at lulu.com/strangesound. Slow moving and rather trippy, this is part psychedelia and part prog rock. It works out to some more pure prog rock as it works into the faster paced stuff. The cut gets pretty hard rocking at times, too. There are things here that make me think of Hawkwind just a bit. Near the end it drops to a mellow movement. Backwards tracked weirdness features prominently at the beginning of this piece. Than vocals that are more poetry reading than song are heard over the top of some atmospherics. After that runs through it works to a more mainstream prog jam that's rather powerful. It drops back to weird, trippy space music further down the road. Starting jazzy and a bit spacey, the cut works forward from there. After a time this shifts to a psychedelic rock styled jam. It builds outward with potential energy becoming realized. This instrumental movement eventually leads to a crescendo. Then it drops to a revisit of the earlier segment for the return of the vocals. This comes in with more of a rocking groove right out of the gate. This is really quite a cool tune. There are hints of things like modern King Crimson, but also more pure rock music. It has some intriguing curves and twists. The opening of this feels like a combination of cafe music and something from an old horror film soundtrack. This is even harder rocking than "Forever Falling" was. It definitely makes me think of modern King Crimson in so many ways. This starts with a mellower movement. It has quite a few shifts and changes, though. There are some harder rocking sections. There is a seriously driving, fast paced one, too. Coming in mellow, there is almost a freeform vibe to a lot of this. It has jazz and other elements at play. After the mid-track point it moves into some more cohesive prog territory to continue. There is a jam late in the piece with some prominent organ that's pretty amazing. In fact, that's one of the most effective passages of the whole disc. This is mellower and more textural than a lot of the music here. It's kind of cool, too.